Your Destiny 2 Power level is going to govern a whole lot of things for your Guardian character, including which activities they can and can't partake in. For this Destiny 2 Power level guide, we'll be walking you through the Destiny 2 Power level cap, as it's been increased a few times since the game first launched back in 2017. If you want any additional Destiny 2 guides that aren't to do with how to level up quickly, including complete story mission walkthrough guides, as well as a breakdown of every Strike in the base game, make sure to head over to our Destiny 2 guides walkthrough hub. There are actually two levelling systems in Destiny 2, and while the first is fairly straightforward, the latter is where things get a little more complicated. In this Destiny 2 Levelling guide we'll go over the two levelling systems, XP and Power, and how to quickly level up each. Firstly, there's the standard level of your character, which increases from XP earned from levels, and will increase to a maximum level cap of 30. This is only if you've purchased the Warmind DLC expansion however, as it'll remain at 20 from the base version of Destiny 2. 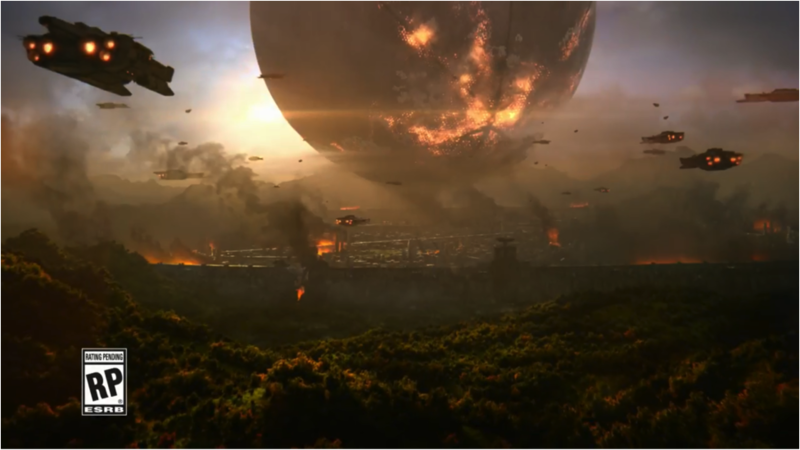 In order to increase the base level of your character, you'll wanted to take on the standard story and Patrol missions that Destiny 2 offers. You'll earn XP for your character whenever you complete a mission, be it a story, Patrol, or even a Strike. This all increases your overall character level, which will then grant you access to additional, higher level quests and missions. The main campaign missions of Destiny 2 offer plenty of XP rewards for your character, no matter which point you're at in the campaign. The entire campaign takes less than 10 hours to complete in total, and you're pretty much guaranteed to be at level 20 by the end. In addition to this, there are also vendor and faction quests and missions that you can undertake. These aren't your usual kind of quests, and they basically function as a checklist that vendors will sometimes give you. But if you complete this check lists by, say, defeating a certain amount of enemies in a certain location, the quest-giver will reward you with XP and items. Secondly, there's the Power level of your character, which increases from the rating of the weapons, armor, and other gear items that your character has equipped. This Power level increases up to a maximum of 305, and while it's your standard character level that decides what story and side missions such as Patrols your character can partake in, it's the Power level that decides whether you can enter endgame activities like Nightfall Strikes and Raids. One of the best ways to increase your Power level is to simply head straight into Strike or Crucible matches. You can then take the Tokens you earn from these activities to the relative leaders (Zavala for Strikes, Shaxx for Crucible), and put the Tokens towards levelling up a faction. Once you rank up with Zavala, Shaxx, or other character like the Gunsmith Banshee-44, you'll be given a Legendary Engram, with any number of powerful weapons or armor pieces inside. For those without the Warmind DLC expansion in Destiny 2, the Power Level cap has remained the same as it always was—at 305. If you've purchased the Warmind DLC for the price of $19.99 however, this Power level cap will be increased to 380. However if you're willing to track down Legendary mods to increas the Power level of your gear, then you can potentially hit the highest Power level possible: 305. Bungie is always increasing the maximum Power level cap with each new expansion that they release. We can expect this tradition to continue in the latter half of 2018, whenever the mysterious 'Comet' expansion releases for the game. Should you need anything else related to Destiny 2, read on to our other guides, including our compelete subclasses guide, or our guide to the European Dead Zone. We'll be sure to update this Destiny 2 guide in the future, whenever we discover any tricks for levelling up particularly quickly, or if we discover a standard pattern for earning XP from certain missions and activities.